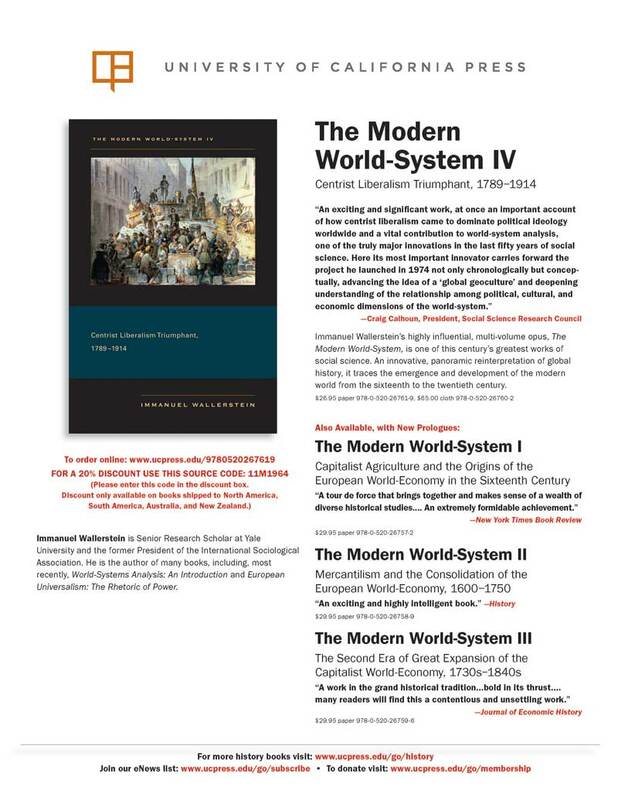 Immanuel Wallerstein’s highly influential, multi-volume opus, The Modern World-System, is one of this century’s greatest works of social science. An innovative, panoramic reinterpretation of global history, it traces the emergence and development of the modern world from the sixteenth to the twentieth century. This new volume encompasses the nineteenth century from the revolutionary era of 1789 to the First World War. In this crucial period, three great ideologies–conservatism, liberalism, and radicalism–emerged in response to the worldwide cultural transformation that came about when the French Revolution legitimized the sovereignty of the people. Wallerstein tells how capitalists, and Great Britain, brought relative order to the world and how liberalism triumphed as the dominant ideology.